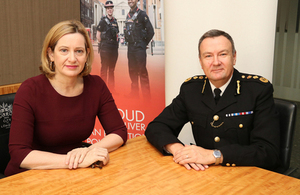 The Home Secretary Amber Rudd has announced plans to tackle economic crime to help stop criminal gangs exploiting the vulnerable and profiting from fraud, money laundering and corruption. She announced a package of measures – including new laws and an enhanced operational response – to crack down on money laundering that allows ruthless gangs to profit from their crimes and fraud, the most common offence in the UK that is estimated to cost every household £255 a year. A new national economic crime centre within the National Crime Agency (NCA) will task and coordinate the national response to economic crime, backed by greater intelligence and analytical capabilities. It will draw on expertise from across government, law enforcement and criminal justice agencies, as well as new resources provided by the private sector. The Home Secretary will personally chair a new economic crime strategic board to drive action. It will convene the relevant ministers from across government to agree strategic priorities and to ensure the right resources are allocated across our law enforcement agencies to tackle economic crime. "There is a myth that there are no real victims of economic crime, but I have seen first-hand how it can ruin people’s lives. It is not a victimless crime and so it’s vital we tackle these offences that can leave innocent people destitute, cost the country billions every year, and allow gangs to profit from serious and violent crimes. "The measures we have announced today will significantly improve our ability to tackle the most serious cases of economic crime by ensuring our agencies have the tools and investment they need to investigate, prosecute and confiscate criminal assets. "Rest assured we will pursue all those seeking to move, use and hide the proceeds of crime." In addition, the government has published its anti-corruption strategy which sets out the government’s anti-corruption priorities, both domestic and international, and establishes an ambitious, long-term framework for tackling corruption up to 2022. To complement this, the Prime Minister has announced the appointment of John Penrose MP as the new anti-corruption champion. In his role, John Penrose will be responsible for challenging and supporting the government in implementing the strategy, as well as promoting the UK’s response to corruption both domestically and internationally. "Corruption destabilises governments and economies, taking money away from developing nations to support the luxury lifestyles of ruthless criminals. "I am thrilled to have been appointed as the government’s anti-corruption champion, and am looking forward to furthering the work that has already been done in rooting out corruption and securing the UK’s prosperity." World Anti-Corruption Day on 9 December highlighted the impact that corruption can have on countries and businesses across the globe and the need for governments to take action to stamp out corruption. The cost of corruption worldwide is estimated to be more than 2 per cent of global GDP and the World Bank estimates that over $1 trillion paid in bribes each year. At the recent Global Forum on Asset Recovery, co-hosted by the UK and the US, more than 250 participants from 29 countries committed to a renewed effort to trace, recover and return stolen assets. The government has also renewed its commitment to introduce an overseas companies beneficial ownership register, which is being developed by the Department for Business, Energy and Industrial Strategy. It will mean that overseas companies that own or buy property in the UK, or participate in central government procurement, will be required to provide details of their ultimate owners. This will reduce the opportunities for criminals to use shell companies to launder their illicitly gained wealth in London property, and make it easier for law enforcement to track and act on criminal funds. Further commitments were also made to seize criminal assets. A new working group will be established, which will include the NCA, the police (including devolved forces), Her Majesty’s Revenue and Customs, the Crown Prosecution Service and the Serious Fraud Office (SFO) to use the powers within the Criminal Finances Act for forfeiture of criminal money. To provide a more targeted, intelligence-led focus on high risk economic crime, the government will also reform the suspicious activity reports regime, making the necessary legislative, operational and technical changes required. Finally, the Law Commission will undertake a review of the law on confiscation in the Proceeds of Crime Act with the aim of improving the process by which confiscation orders are made and optimise the enforcement of them.